LaRon Smith will always remember last summer’s bus trip to British Columbia for the Langley Invitational. It was then, with Smith sitting in the back surrounded by his Dawgs Academy teammates, when he received the most important phone call of his baseball career. The Minnesota Twins were calling, and on the other end of the phone, was scout Walt Burrows. “He told me, ‘we’ve selected you in the 25th round,’” Smith recalled. Although Smith somewhat knew he was going to get a call during the third day of this year’s MLB draft, he didn’t know which club would ultimately dial his number. For his services, it was down to two teams. “I was called by the Twins and the Blue Jays, they said I was on their board for the third day,” he said. Now drenched in Twins colours in the Gulf Coast League, Smith said the one thing on his to-do list was to spend as much time with his family before making the trip to Florida. 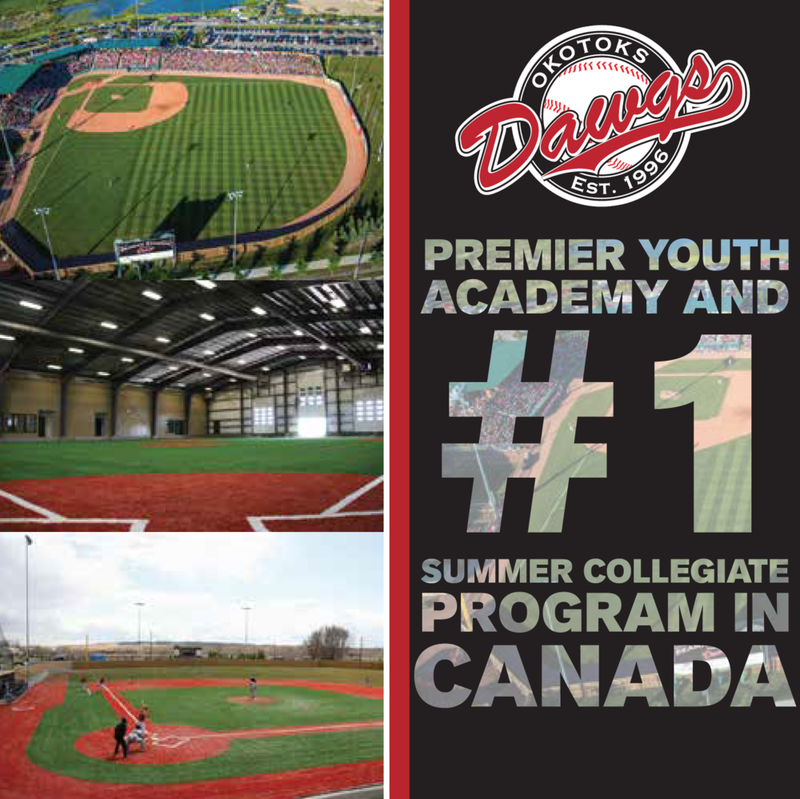 Moving away from home isn’t a new concept for the Dawgs product, who traveled from Spruce Grove to join the Academy in Okotoks when he was in the 10th grade. He decided to make the three-and-a-half hour drive south in order “to put all my focus on baseball,” and, evidently, it worked. “Moving with the Dawgs at a young age really helped. It wasn’t as much of a struggle to be away from the family (in Florida), even though it’s always tough being away from them all the time. It’s not as bad once you do it for a couple years in your life,” he said. This wasn’t just a three-hour drive south, though. This was a professional organization setting him up with a ticket to Florida, to prove his worth, to prove he belongs. Playing at the pro level as an 18-year-old might be intimidating for some, but Smith welcomed his dream with open arms. It was all put into perspective when he strolled through the locker room to find his jersey. “It was a dream come true, there are really no words. As soon as I put on the jersey and saw that my name was in the lineup, I really felt like it was time to go, this was the start of the journey,” he said. Aside from making the transition to the professional level at a young age, the 6-foot-2, 200-pound third baseman also had to get used to a new position. Equipped with a strong arm and quick hands, the Twins drafted Smith as a catcher. Despite the uncertainty surrounding his new-found position, Smith is soaking in the knowledge and embracing a new challenge. With the bat in his hands, Smith showed glimpses of what it takes to be a professional hitter. He recalls one game against the Boston Red Sox rookie ball team where he went 3-for-4, inflating his average at the time to .308, as a defining moment in his young career. Ultimately, he says, what prepared him for the next level was his work with the Junior National Team, and in Okotoks with the Dawgs. 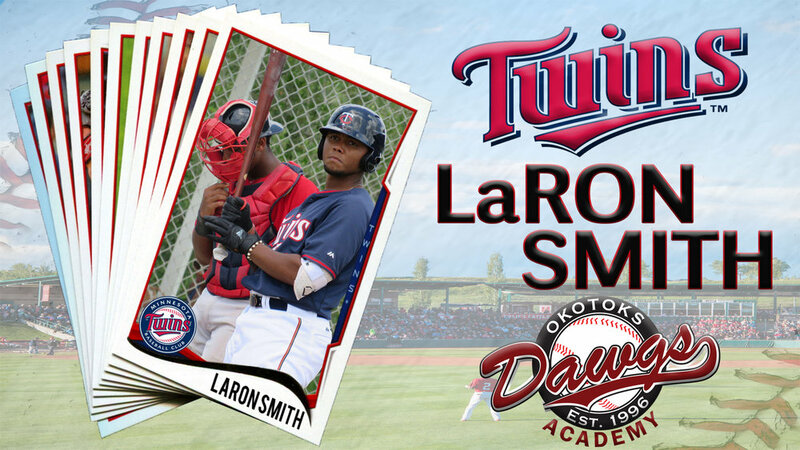 Smith chose to sign with the Twins over his commitment to Alabama, joining plenty of former Dawgs to play in the professional ranks. His name now sits alongside other greats who came through the program, including former Milwaukee Brewers closer Jim Henderson, Jordan Procyshen, Tyler Hollick, and Matt Ircandia among others – a list of names Smith is proud to be a part of. Now, the offseason isn’t quite an offseason for Smith, who joins Academy teammates Cesar Valero (Oregon State University), Micah McDowell (OSU), and Tyler McWillie (Colby CC) on Team Canada for the Junior National Team’s selection camp in November. 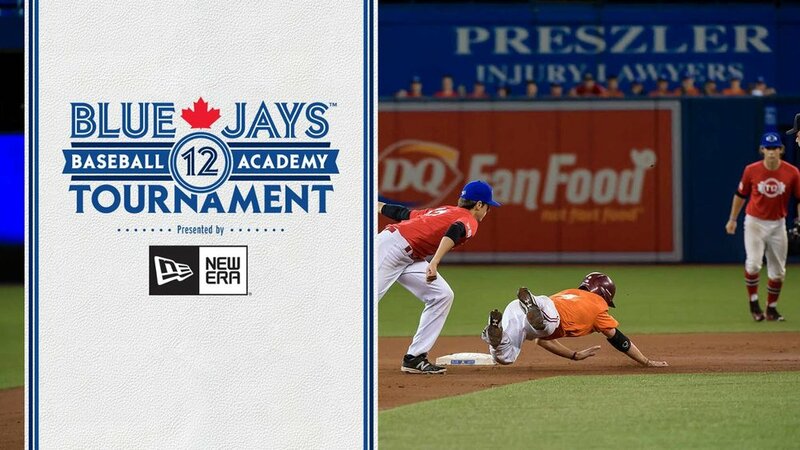 The camp serves as a final tryout, where the top-20 players will be selected to represent Canada at the COPABE Under-18 Pan American Championships held in Panama.